Citrine Purity BraceletOriginally offered with a beautiful opal gemstones in our Purity Collection, this elegant bracelet proved so popular, we have been asked to offer it with different gemstones and here is your choice of blue topaz, citrine or peridot as well as the original opal version. 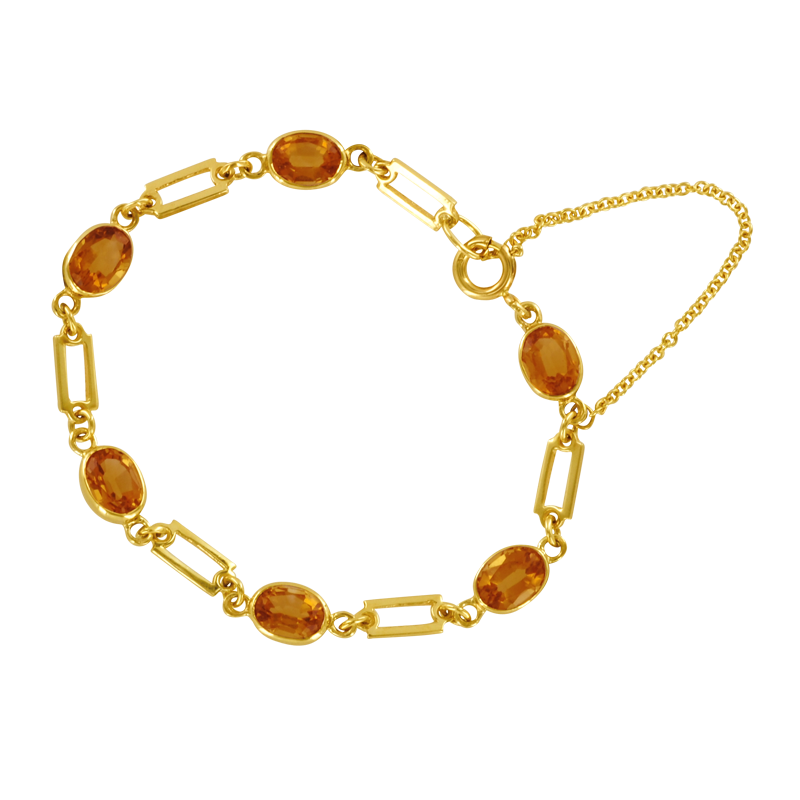 This bracelet is delicately set with six beautiful gemstones between rectangular links of 9ct gold. Bracelet length 6 3/4". Citrine size 8 x 6mm.